Eisen and I are together again. It is difficult to share this sad news, because I know how much it broke my pawrents heart to hear it. But on Saturday, April 28,my dear friend Eisen earned his wings in Colorado. I will try not to be sad, and hope that the hoppy memories of me and Eisen will dry the tears in my Momma’s eyes. 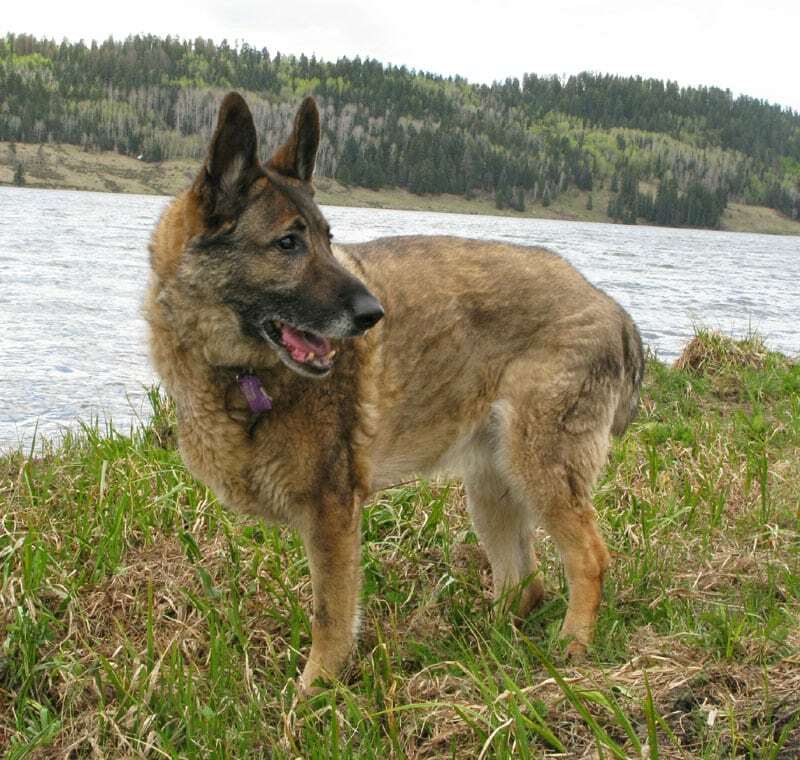 You see, Eisen was the last surviving pup in my circle of Tripawd friends who I played with. We are all angels now. He is no longer on earth, but what an amazing, beautiful life he had, for 13 years! What makes Eisen especially remarkable is that for the last four years, he beat osteosarcoma, and proved that nine out of ten statistics are wrong! 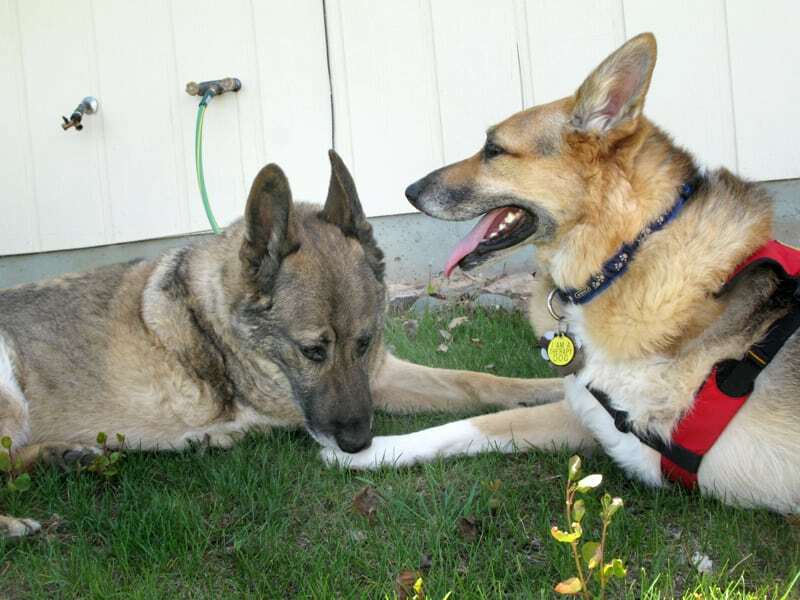 As one of the earliest Tripawds members, it feels like Eisen and I have known each other all our lives. When his mom wrote to us in 2007 after he got diagnosed with bone cancer, I told her “Don’t worry Ma! Eisen will be fine. Remember, his name means “strong”! Eisen lived up to his name. Chemo? Forget it. He didn’t have any. Instead, he and his momma made the most of the cards they were dealt. After the diagnosis and amputation, they listened to their hearts and focused on quality of life, not quantity. Perhaps he beat the odds because they followed the holistic advice of Dr. Charles Loops. You just never know what cancer will do. 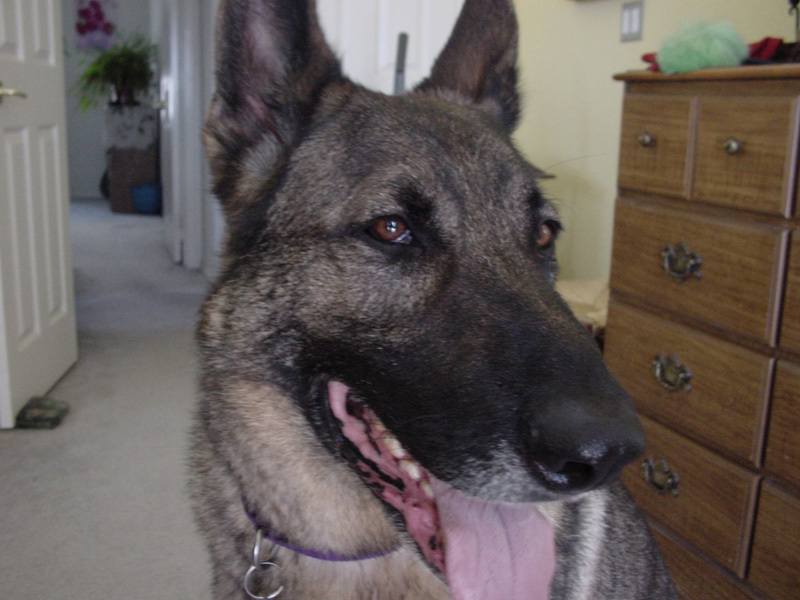 The last few years were met with some of life’s toughest challenges for Eisen’s pack, but in typical German Shepherd fashion, he was always there to put things in order, and perspective. Eisen made sure that everyone understood their mission: to live life to the fullest! Our play dates seem like a million years ago. Those picture perfect Rocky Mountain days will always stay in my pawrents’ hearts, forever and ever. And when they think of me and Eisen playing together again on the big mountain in the sky, they smile. 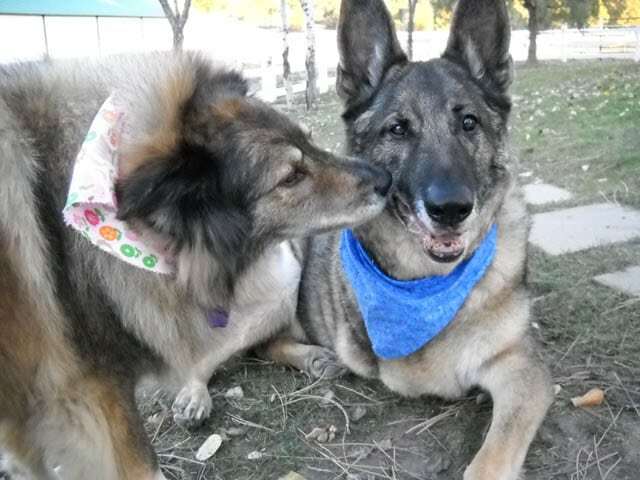 Eisen my friend, it was an honor to have you in the Tripawds community. You will be missed tremendously, and remembered forever. Eisen – you were an amazing soul and we here at Dr. Loops office were so blessed to be given the chance to get to know you and Stacey. Stacey – The loss of such a wonderful friend and companion is never, but remember to forever hold on to those happy glorious memories you two spent together.. Please know you are in our thoughts. Eisen was an example of all that is possible when hit with the shocking news of a cancer diagnosis. He proved that despite all of the studies and statistics, life can be full of great surprises. We have to keep this hope in our hearts when times are tough, and paws crossed that we will all be as fortunate as he was. If you are ever hit with bad news, think of Eisen’s story, he will give you hope. We will miss him so, so much. Jerry’s pack is together at last. Eisen – you are an inspiration to us all. Stacey – you are in our thoughts. 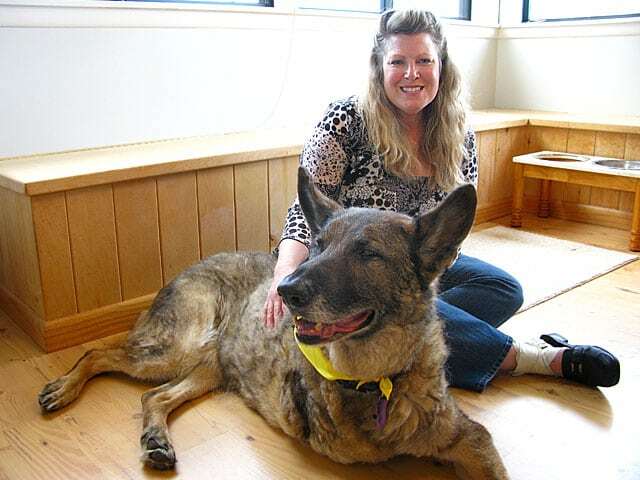 I’m holding back the tears….Eisen has been one of the Tripawds I have looked up to…you gave a great fight Eisen!!! Hello to another one of our clients ;] So glad to be able to keep up with Maggie as well. Thanks for keeping up with us Tripawd clients!! !